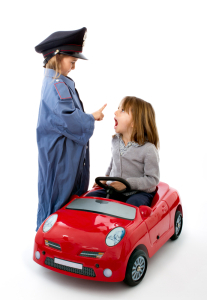 Can you Dismiss a Driver who Loses their Driving Licence? If your business relies on drivers, you will need to make sure that they are all legally allowed to drive. But what if Dave is allowed to drive when you employ him but he subsequently loses his licence? Can you dismiss him? If continuing to employ Dave would be against the law, you can (and must) dismiss him. However, you must first consider whether you can make adjustments to his duties so that you can continue to employ him. For example, if driving is only a small part of Dave’s duties, then you could allocate that part of the job to somebody else and find alternative work for Dave. Similarly, if Dave is able to use public transport rather than driving himself without it significantly affecting his work, it would be unfair to dismiss him. The ACAS Code of Conduct does not apply to a dismissal in these circumstances. However, you would be well advised to follow it anyway. If there is any doubt about whether or not Fred is allowed to continue driving, it will be resolved within the course of the procedure. If you need advice on dismissal or disciplinary procedures, please feel free to contact me on 01604 601 575. Previous Entry: Can You Dismiss Someone for using Facebook Too Much at Work?